Amazing lamb shank for dinner finished with Bookers 2018 bourbon and creme brûlée for dessert. Bourbon and creme brûlée was an amazing pairing. Some more Elijah Craig Barrel Select. 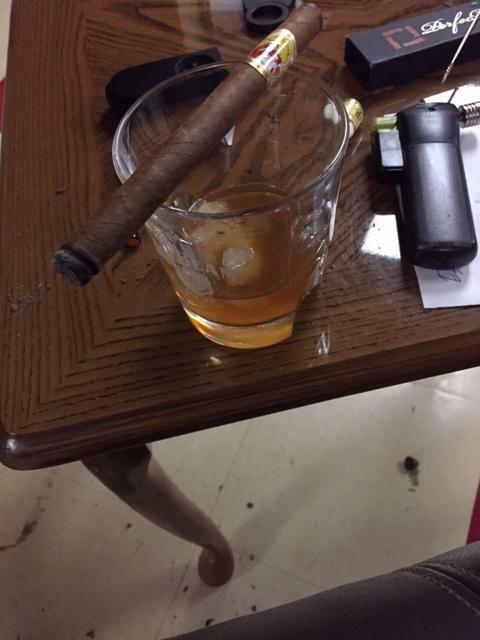 Once this hellday is over it will be Blantons and a cigar to close the day out. Glad to see some action here again. Me and a couple guys at work have been drinking Rabbit Hole. It runs around $50 a bottle here, but we all have enjoyed it. Scored a bottle of Red and Green Weller that i am waiting to try. I got tired of searching up here so don't often find them. Anything out of buffalo trace seems to fly off the shelves. Eagle rare is about the best I have scored. "If heaven has no cigars, I shall not go there"
As an ex-Chicago resident I miss Binny's in my life! 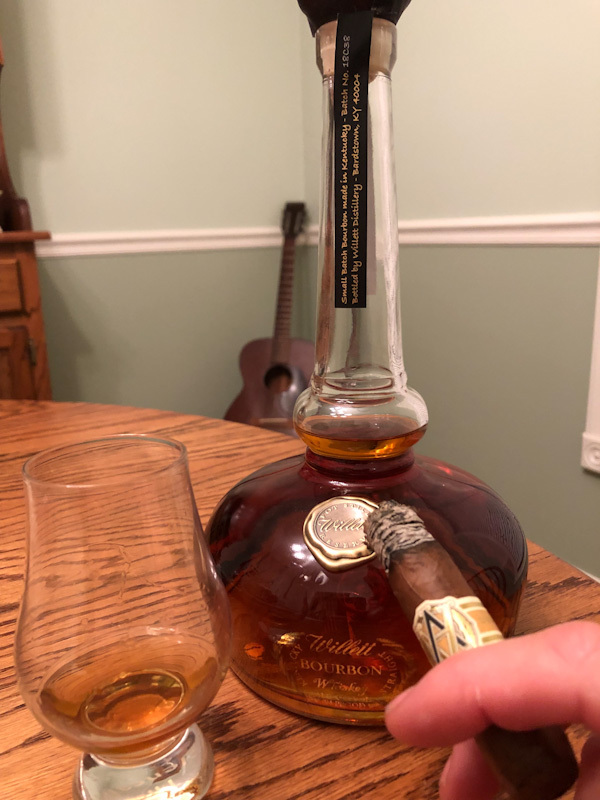 For this thread, I've always been a fan of the New Holland Beer Barrel Bourbon, and as a Rye fan I got excited about the Rye variety. Sadly, not on the same level. It has a level of sweetened that almost seems fake, and some off flavors, like someone mixed a touch of beer into the bourbon. The Elijah Craig Small Batch bought apparently has that distinction too, I didn't realize that was a thing. That's a shame. Is the bourbon made by New Holland, or just using New Holland beer in it? I'll have to see if they distribute the original version in Chicago and give it a try. Yes sir! They are usually called “store picks”. Larger liquor stores will hand pick single barrel selections of an already existing product, for example Weller Antique 107, Knob Creek, Eagle Rare, blantons, Russels, 4Rs, ect. Store picks are almost always a step up in my opinion. Thanks Nate, I learn something new every day. We've got a place down here, Maisano's, that does this. Every one of their's that I've had has been great. They for sure have the "Beer Barrel Bourbon" in Chicago, it's different due to the aging, but it's something I like to keep around. As far as I can tell they make their own, unless they are really great at hiding that fact. The barrels are first used for bourbon, then one of their stouts, and then back to bourbon (although I guess that technically makes it not a true bourbon). Excellent, thank you! I am officially on the "lookout". First Name: Same as above. Being that it’s Super Bowl Sunday I got a little head start today. 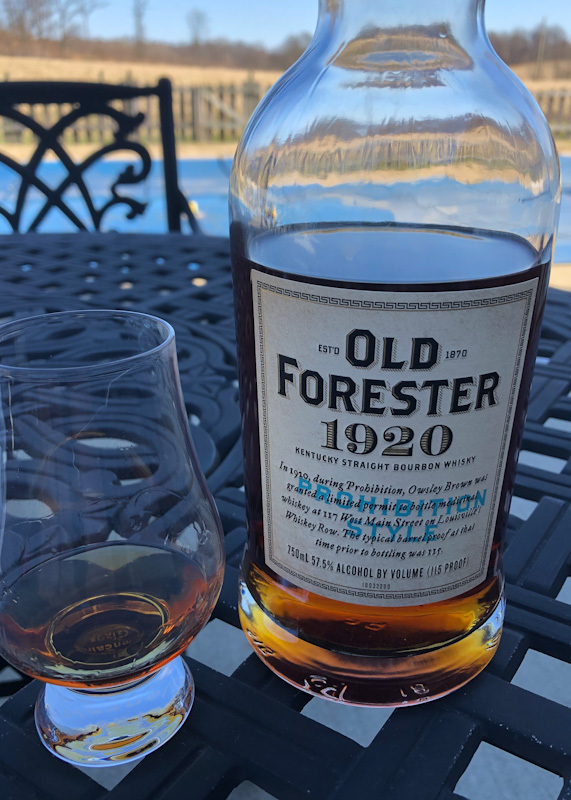 Old Forester 1920, a very smooth high proof bourbon and so far, my favorite from OF’s Whiskey Row series. Quickly becoming one of my preferred sipping whiskeys. Last edited by Damian; 02-03-2019 at 12:07 PM. Sounds like a winner, Damian. Tonight I went with some Willet Pot Still Reaerve. One of my favorites but no matter how many times I rub the bottle...the 1965 version of Barbara Eden has yet to show up. A guy can dream though. You and me need to be sippin' on some bourbon together in May, My Brotha.